2. How Many Sinks Would You Prefer? 5. What About Its Solid Surface? 8. Which Worktop Works Best For Your Sink? This is the simplest rundown for the common kitchen sinks types available on the market. You can opt for either on while modelling your kitchen or during renovating. Each kitchen sink type has its pros and cons, so it’s best to read through them all to find your most ideal fit. As the name suggests, a top mount kitchen sink looks like it has been dropped-in from above. It fits comfortably on the kitchen platform with a rim or lip that holds it in place from the edge. This is probably one of the neatest kitchen sinks, requiring minimal installation and service. The good thing about using a top mount sink is they require only a single hole in the kitchen counter. No special installation needed. However, the kitchen sink’s rim makes it difficult to remove debris from the counter into the sink. So this makes cleaning the kitchen counter a bit tricky. The installation of an undermount sink is completely reversed to that of a top mount sink. While a top mount sink is dropped in from above, an undermount sink is fitted from below the kitchen counter. The lips of the sink are in level with the kitchen counter, which makes it look sleeker and polished. The good thing about farmhouse kitchen sinks is that they have plenty of space. So washing baking pans or big dishes is effortless. On the other hand, they’re expensive and demand more intricate installation than other sinks. Integrated sinks are rare, but quite fashionable. They’re not what sink manufacturers design, but counter manufacturers. What this means is that an integrated kitchen sink is of the same material and build of the entire kitchen counter. Opting for an integrated sink is only possible when you’re remodeling your entire kitchen counter space. The good thing about an integrated sink lies in its simple design. It’s easy to clean, stain-free, and allows seamless counter flow. But they’re very expensive to build. And you might find it difficult to hunt down a suitable counter manufacturer who’s ready to build you an integrated kitchen sink. The size of your kitchen sink also depends on the number of bowls it has. Based on how often you cook and make use of dishes can you determine the right number for you. The most common kitchen sink, in this regard, would be a large single bowl sink. But if you want more space and comfort while washing bigger dishes. And if you have that kind of kitchen counter space, choosing a double basin sink is ideal. The main factor to consider is the typical activity that would take place in the kitchen. Deciding the number of bowls you need, based on that factor, can help you narrow down your search. For example, if you keep busy with work, but prefer cooking at the end of the day, buying a double basin sink offers more space. The same reason applies to someone who lives with a flat-mate who cooks occasionally. So buying a double basin kitchen sink is more of a sophisticated and pampered investment. A single basin sink, on the other hand, comes with no division. It’s a simple layout with a kitchen faucet and a drainage hole. Single bowl sinks are often deeper, offering plenty of room for washing larger pans and dishes. The only drawback to them is that they offer no drying area, which double basin sinks do. The pros of stainless steel kitchen sinks are plenty. Starting from the fact they’re exceptionally inexpensive. Even designer brands offer affordable stainless steel kitchen sinks. And they can be molded into different sink types such as top mount, undermount, single, and double basin sinks. Second to stainless steel, composite sinks are traditionally made of granite or quartz. Some composite sinks come with a resin filler, making it the hardest material to use. This combination makes it temperature-resistant and spotless to maintain. And that’s precisely what makes composite costlier than stainless steel sinks. Their heat and stain-resistant design is tough to ignore when you’re remodeling. Even though it has a unique appeal, composite kitchen sinks can be molded into different shapes and sizes. And they come in a variety of colors, making it the most fashionable option. However, light-colored granite-composite kitchen sinks are prone to staining and scratches. So you need to make more of an effort to keep it clean. Other common kitchen sink materials are natural stone, porcelain, cast iron, and fireclay. They all are easy to maintain and extremely durable. At the end of it all, it’s all a matter of personal preference based on the type of sink you choose to buy. According to Consumer Reports, the ideal sink depth is between 6 to 12 inches deep. Anything deeper can make it uncomfortable to watch dishes for a long period of time. This also depends on the type of kitchen sink you opt for. A high-quality kitchen sink, with the right depth can last for more than 15 years. According to SFGate, the right kitchen sink depth may range from 8 to 10 inches. This makes it easier to pre-soak dishes and prep for other rinsing work. Buying a shallow sink, on the other hand, makes more sense if you’re short. If you fall below 5 feet 5 inches, a shallower sink will feel most comfortable. This reduces back strain and allows you to rinse and deep clean large dishes easily. Another benefit of using shallow kitchen sinks is that they allow good storage space. You can place your garbage disposal underneath the sink. This is not possible under a deep kitchen sink. And from the price perspective, opting for a shallow kitchen sink is more inexpensive than a deep one. It is available at a lower price and is comparatively easier to maintain. The natural minerals and polymers make it well-furnished and sleek. You might even say it’s a better alternative to laminate countertop sinks, making it one of the best traditional methods for remodeling the kitchen. On top of that, the appearance and feel of a solid surface can be altered, or made glossy, based on your preferences. This requires frequent polishing or laminating, which isn’t at all possible in quartz or any other material surface. The idea behind incorporating a solid surface is to avoid constant wear and tear. Especially cracks and scratches. This is what makes a solid surface the safest choice for long-term usability. The best advantage of using a solid surface is non-porous quality. This means it keeps bacteria away, is more sanitary, and does leave behind an odor. Regardless of how often you wash your dirty dishes in it. Another benefit if that it resists impacts better than any other laminate on the market. This makes it stronger, more rigid, and resistant from top to bottom. However, using a solid surface invites space difficulties. You will benefit the most from a bigger solid surface countertop sink than a smaller one. This is because it allows more rinsing, soaking, and washing space. And it keeps scratches, stains, and other kinds of damages at bay. Deciding on the right color for your kitchen sink is as important as picking out a proper size. Lots of factors go into the process of deciding a neutral sink color. Because with the wrong kind, you end up with visible stains and scratches. You don’t want anything interfering with your kitchen décor, so here’s what you need to know before making your final choice. If you’re buying a solid acrylic resin countertop, you’ve opted for a popular one. These kitchen sinks come with a smooth and sleek color palette. And that generally includes off-white, beige, or light yellow color variations. You will find that most such surfaces are either undermounted or top mounted. Different companies have different surfacing for such kitchen sinks, but you will always find color similarity between each of them. This makes choosing a brand-new kitchen sink much more confusing. Neutral colors such as beige or off-white are easily integrated into a kitchen. They look clean and it’s easier to spot stains and scratches over a period of time. Stainless steel sinks, which lack the solid surfacing of a quartz or granite sink, come in a single laminated surface. Which is stainless, scratch-resistant, and impact-resistant. With time, cheap quality kitchen sinks with bright colors lose their shine. This leads to color cracking and scratches. At the end of it all, you need a non-porous sink surface that doesn’t look dingy and dull due to consistent use. It also should leave behind odor and stains when you clean built-up layers of food after cleaning oily metal pots and deep dishes. The placement of the kitchen sink is an important factor to consider. Firstly, the main thing to look for is the placement of all your drainage and existing pipes. But if you have the option to decide on a fixed spot for kitchen- where would it be? On the other hand, you may also like to spend a few extra bucks to re-install your drainage system in a more comfortable place in the kitchen. With that said, let’s look into the basics of getting the placement right. The sink includes a faucet system, which includes a soap dispenser and sprayer, and a drainage hole. If located incorrectly, it can lead to leakage and other internal damages. By definition, the location of your kitchen sink must coordinate well with your countertop. The sink is the most important and space-consuming part of your kitchen. So positioning it centrally is a good option to increase accessibility. Also, you must ensure there’s plenty of space underneath the sink mount for the drainage system and other important components; especially if you’re installing an undermount kitchen sink. Designing your kitchen based on where you position your sink is necessary. It makes cooking, cleaning, and entertaining guests easier. And a classic work setup in the kitchen is a good way to keep things organized and neat. This helps when you live in a busy home. For larger homes, opting for multiple sinks is a good option. It gives you the space and flexibility to clean larger dishes and pots, entertain guests, and for food prep. With a nice sink placement, you can get more work done comfortably! And that’s the whole point of buying a brand-new kitchen sink, right? This has nothing to do with the build and appearance of an actual kitchen sink. But it’s the build and appearance of the kitchen’s worktop, where the sink will be installed. This is important because a worktop supports your sink through thick and thin. There are two main types of kitchen worktops, with their own pros and cons – laminate and wood worktops. Laminate worktops look a lot like wood worktops, but with a more textured or glossy finish. They are also available in a variety of colors and patterns on the market, unlike wood furnished worktops. The main composition of a laminate worktop includes layers of core forms that are moisture and heat resistant by nature. They also offer excellent durability and stability to resist scratches, stains, and cracking. Most laminate worktops come with chipboard coating, which is supported by an adhesive glue or seal to keep it together. This fights harder to resist any sort of damage due to wear and tear. Installing a laminate worktop is much faster and simpler than wood. The only thing to factor in is its correct size and shape before installation. It also helps when you have proper adhesive seals to coat the raw edges on the laminate. This is especially important if you have children or pets around. The last thing to think about when using a laminate worktop for your sink is its maintenance. Laminate worktops are water, stain, dust, and impact resistant. So they require exceptionally low maintenance over the months. Some high-quality laminate worktops come with heat-resistant capabilities, making it easier on you to keep it clean and away from harm. The main composition of a wooden worktop is a combination of highly-pressurized staves. It’s entirely wood, featuring the appearance and qualities of natural timber. The reason behind why many people opt for a wooden worktop, despite its wooden effect, is because of its luxurious color and feel. Unlike laminate worktops, wooden worktops look more authentic, furnished, and beautiful as they get older. If you’re worried about excessive heating, you should know that modern wooden worktops come with durable coating to prevent moisture and heat build-up. This protective coating also helps against the environment, tackling all kinds of debris, dust, and stains. The next thing you should know about wooden worktops is they require articulate installation. Natural wood contracts and expands when adapting to a new environment. So with the help of special tools, such as brackets, you can pin each stave down without compromising on quality. You need rugged brackets to avoid splitting or cracking of wood during installation. When it comes to taking good care of your kitchen counter, one thing always leads to another. That’s why considering a durable and efficient worktop is important for a kitchen sink. 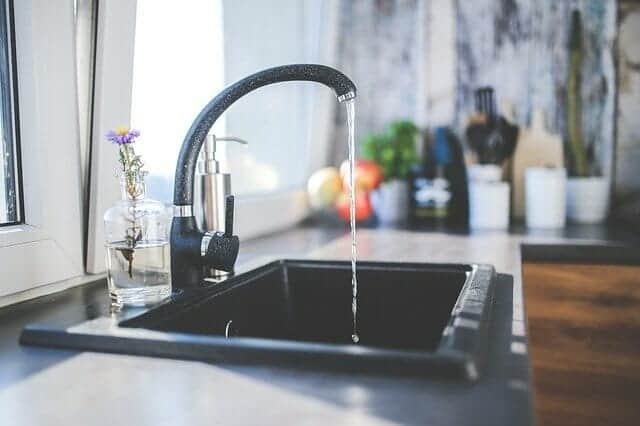 Whether you decide on installing the new sink yourself or you’ve booked an appointment with a professional, knowing the best installation method for your kitchen sink is important. It will help you think about what’s right for your kitchen as well as what’s safe and longer lasting. So let’s begin. The basics of installing a new sink include the sink’s drain, faucet system, and what goes beyond both systems. To connect the sink’s drain, which lies between the tailpiece and waste line, it’s always advisable to start with the sink’s tailpiece. You can adjust based on how tight the sink’s drain pipe gets. Before you set out to buy the necessary tools for installation, it’s always helpful to draw a map of all the key components of the sink, including the drainage and faucet system. This will help you find the right tools as you need and accelerate the installation process. To have exact knowledge of where your sink goes, use a marker to create a visible boundary. Most companies offer a sink template for placement, this will help you make a mark on the counter with exact measurements. If you dislike the idea of using a marker on your kitchen worktop, use a tape instead for outlining the sink’s exact location. This way, you can connect all dots of the kitchen sink without missing even a single inch. This involves you (or a professional) using a jigsaw blade to cut a hole in the sink’s actual location. To make matters easier, use a wooden scrap longer than the actual cut-out and lay it close to the jigsaw blade. This is important because it prevents unnecessary binding of the blade. Once you cut along both sides of the location, drop in the sink to make sure it fits. If it still doesn’t, you can easily trim the edges of the hole, as needed. Place the sink upside down on a flat surface, even a counter would work. Insert the faucet’s tubing, including the tailpiece, into the gasket. Seal the entire foundation right to the sink and into the holes of the sink. Using the proper mounting nuts and washers to screw the sink deck in place. Before you move on to the next step, make sure the faucet can swing in a full arc. Any sort of restriction in movement shouldn’t be allowed. Use plumber’s putty under the strainer’s lip and, with the sink still placed upside down, push it through the sink’s drain. Next, lay out the washer, gasket, and the strainer’s housing on top of the strainer, keeping it against the underside of the sink. Using your hands, thread the lockout and tighten the pliers together. You can then install the gasket on the tailpiece and join it together with the strainer. Tightening the nut by hand is a better alternative while keeping the strainer in place. For a top mount sink, drop in the sink after removing the tape toward the hole. Using a thick band of silicone caulk and stuff it on the underside of the sink. Then it’s time to set the sink in its final countertop position. Connect all the faucets to the valves and attach the hose to its threaded tailpiece. The only thing left to do is to connect the drain onto the drain tailpiece. To do that, you can make use of PVC pipe to trap the drain towards the tailpiece. A PVC pipe is easy to swivel and adjust for better alignment. Coat each pipe with a primer and let it dry for a couple of hours. Coat PVC cement, as the last step, on the gaps where the pipes are joined and hold together for 30 seconds. After this, connect the dishwasher drain line (if you have one) with the sink’s drain line. This will thread and connect all pipes with no sign of leakage or spill. Here’s what you need to know about keeping your kitchen sink, whether stainless steel or porcelain-made, clean and tidy. The best way to keep a stainless steel sink clean is by ensuring all the dishes kept inside the sink are free from leftovers and food particles. Rinsing a plate or a pot before placing it in the sink can save you lots of time in cleaning. You can make sure of a sponge holder or a drain stopping to keep the sink clean. Next, with the help of a washing soap and a warm cloth, clean the faucet, drainage hole, and edges of the sink. This needs to be done each time you wash dishes in the sink. Also for prepping dishes or rinsing them for use. Stainless steel sinks are heat and moisture-resistant, which makes them the ideal choice. But what about fighting odors that travel up the drain? To solve that problem, you can run hot water down the drain to prevent odor. It also unclogs the drain of gooey or hard food particles. If you do this several times a month, it has a drastic impact on your sink’s shelf life. For cleaning the solid surface of the stainless steel sink, use a combination of lemon juice and baking soda. Pour it over the surface and let it sit for 10 minutes before scrubbing or washing it off with lukewarm water. You can repeat the same process for cleaning the drain and polishing up the sink inside out. A porcelain sink is harder to clean, but a combination of soap and warm water can do the trick. You can also use hydrogen peroxide to clean the surface of the sink. It removes stains, odor, and oil residue. An alternative to that would be baking soda or lemon juice to aggressively fight stains. Lemon juice also helps in polishing the surface of porcelain for a longer lasting appearance. That’s all you need to know about choosing a kitchen sink. If your existing sink is giving you lots of trouble that even a plumber is unable to solve, it only makes sense to buy a new model. And if you’re planning a kitchen remodel, it’s the best time to buy a new, sophisticated kitchen sink! This guide will help you learn the ropes on what makes a kitchen sink efficient and comfortable to use. It will also help you differentiate between an average kitchen sink and a spectacular one, all at a valuable price. There are plenty of reliable brands offering different sink sizes, shapes, colors, and materials. From stainless steel to durable granite and more modern materials, it’s your time to buy the best of the best, at a good price! That said, the most important quality of a kitchen sink is its form. It needs to be stainless, impact-resistant, non-porous, and free from unwanted chemicals. This is a true sign of a good manufacturer that stands by its products, no matter the circumstance.